Drink minimal quantities. If you find yourself drinking more than would be used in a social situation, alcoholism may be a lurking illness. The best way to avoid addiction is to drink minimal quantities and know when to stop. Drink beer at home. The best way to drink beer responsibly is to simply drink it at home. This will eliminate the danger associated with driving or getting into a confrontation with others. Do not drive. If you have consumed beer, it is best not to drive. Not only may it be illegal, but also dangerous. If you need to go somewhere, walk or have someone to take you. If you are away from home and have been drinking, give your keys to a friend, designated driver or call someone to pick you up. If you need a ride home, you can call a friend, family member of even a taxi. Anytime that you are under the influence of alcohol, it is pertinent that you not attempt to operate an automobile. This could not only endanger your life, but those of others as well. Never leave your drink unattended in a public place. This is especially true of restaurants, bars and/or anywhere that alcohol is served. Leaving your drink unattended may leave you susceptible to someone placing a substance in your drink. 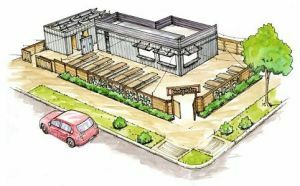 If you get up to dance or go to the restroom, order a new glass of beer when you return. If you are just mingling, take your drink with you. 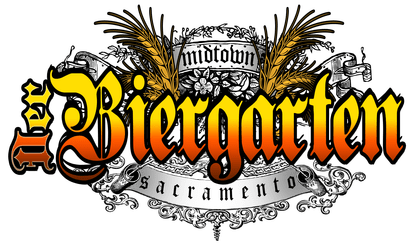 After 3 years of negotiations, Der Biergarten will take over the block of 24th and K Street in Midtown Sacramento. 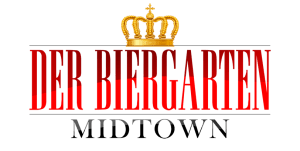 Outside of Der Biergarten, on the corner of 24th & K St., the block will be transformed into one big street party celebration for Oktoberfest, Midtown! 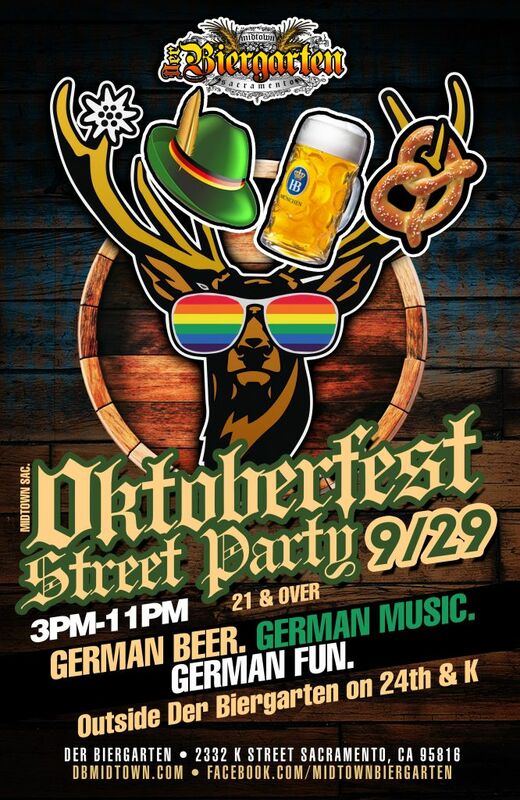 The event starts at 3:00pm with live music featuring The City Of Trees Brass Band followed by the German band The Alpenmeisters from 6:00-11:00pm. This will be a FREE event for the 21 and over. 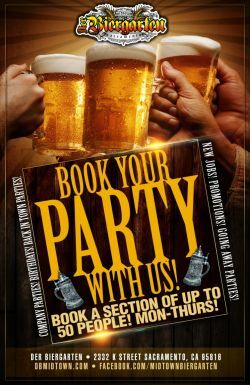 To get tickets to beat the line as well as to get one of our limited beer steins so you do not have to drink out of a throw away mug click the picture below.